Two former workers of local gas station chain Bradley Petroleum have received $713 in back wages that had been illegally withheld, following an investigation by Rocky Mountain PBS I-News in January on the company’s more than 30-year history of tangles with labor law enforcement. Investigations into the company have highlighted a pattern of suspending employees for cash register shortages, reporting them to the police for alleged theft, and then permanently withholding the employee’s final check despite a lack of evidence of any wrongdoing. Colorado’s wage law permits employers to withhold wages for 90 days if they suspect an employee of theft, pending the outcome of police investigations. If no charges are filed, the employer must remit wages plus interest. Ward Boydstun received a certified check dated Feb. 2 that was worth $504, including $75 in interest, for his last paycheck of $447 he was due in December 2012. 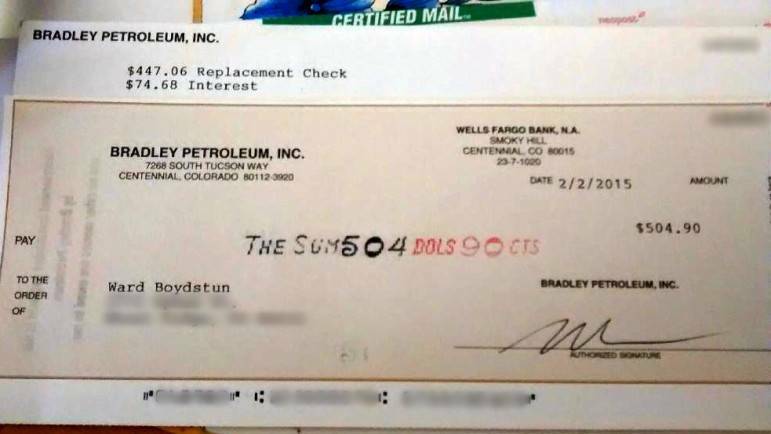 Joe Mahoney In an interview last December, Bradley Petroleum president Buzz Calkins responded to an I-News inquiry and revealed the check that had been sitting in Boydstun’s personnel file at corporate headquarters for two years. 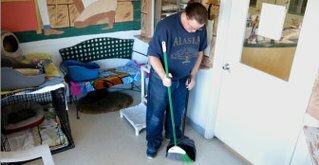 Calkins said in an interview that he would repay the workers plus interest. “If you think about it, it wouldn’t make much sense for me to tell you that I’m going to send the checks when we met in person, knowing that you’re writing a story about it and then not do it,” Calkins said in an email after the workers received their checks. The company added 8 percent compounded interest since the former employees’ termination date, he said. Former employee Daniel Terrones said he received a check for $209, including $69 in interest in January. Boydstun, a former Bradley manager currently living with his mom or friends, said he would use his long overdue check to save money to get his own place.